The World Link of Protective Healing meditation practice is designed to move your awareness from operating primarily in your upper mind to opening your middle and lower minds as well. By moving your focus to different areas of your being, you’ll begin to uncover new aspects of your being of which you may not have been aware before. This causes an opening, or space, which allows for a new reality to exist. This will empower you to effect positive change not only in yourself, but in your greater world. By accessing this new space, you allow your goals and dreams to become manifest in your life. Once your energy becomes focused from a place of power and love, you can send that loving energy out to benefit the world and the surrounding universe. The ideal outcome is that you learn how to feel with your mind, and think with your heart. Think what would happen if the world began to do this. The outcome would be peace and harmony, the end of conflict and war. This can happen one person at a time, or in a group of people. This formula is designed to be practiced with multiple people across the world, all of whom are practicing at the same time. Hopefully, by reading and sharing this formula with others, you can begin to develop a network of people who dedicate the immense power of their minds to the benefit of everyone on Earth. 1. Stand or sit, either alone or with others in a group meditation. 2. Relax and empty your upper mind down to the lower tan tien by smiling down to your lower abdomen. 3. Focus your awareness on your abdomen and fill your abdominal brain with chi. 1. Feel the energy behind the navel become warm as you direct a golden sunshine smile down from your eyes. 2. Imagine that the energy in your abdomen is like a fireball behind the navel that sits above a stove burning with fire. The stove is situated below the navel and close to the sacrum and lumbar vertebrae. The Taoists describe this as a burning stove that energizes the other fires in the body. 1. Be aware of the yang energy of the adrenals on top of the kidneys. 2. Move that yang energy down into the center of each kidney at the Door of Life (yang within the yin) thus lighting the Fire under the Sea. 3. Expand the activated kidney energy to the Door of Life point on the spine opposite the navel, just below the kidneys. Always retain awareness of the tan tien and keep it spiraling. 1. Activate the consciousness by smiling down to the heart, making it feel soft. 2. Be aware of the fire in the heart. Feel the fire of love, joy, happiness, and compassion creating softness in the heart (yin within the yang). This will activate the heart’s consciousness. 3. Make a triangle, connecting the heart down to the kidneys and then down to the tan tien fireball behind the navel. Connect the fireball to the kidneys and back to the heart. This triangulation doubles or triples the chi fire power. When the abdomen is filled with chi and feels warm and nice, it will rise and fill the upper brain with chi. 1. Lower the upper mind to the lower tan tien. 2. Lower the middle mind to the lower tan tien, as well. 3. 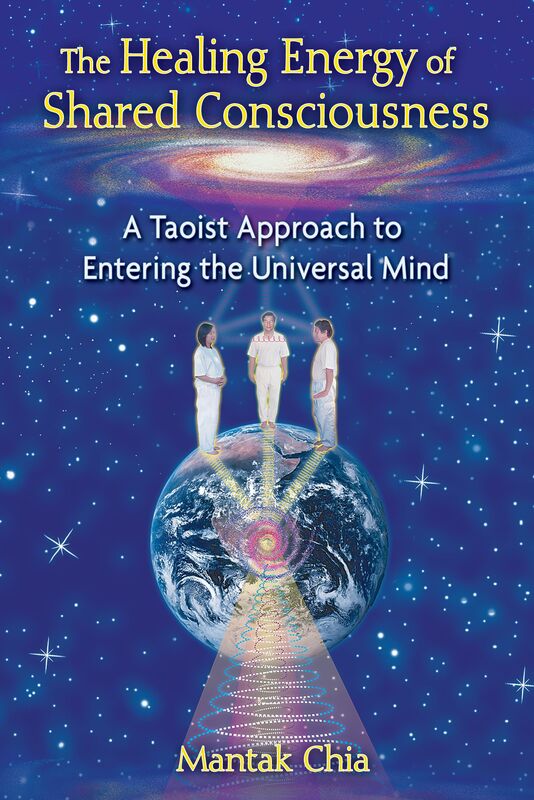 Focusing on the lower tan tien, combine the three minds into one mind, called Yi (pronounced “ee”). Let the Yi energy rise up to the area behind your third eye. You can use this unified mind to make better decisions and to take correct action. Combining the power of the three minds into the power of the one mind, Yi, bring the Yi power into the third eye and expand it to the six directions of the universe. Connect to the universe at the crown, mid-eyebrow, heart, and tan tien. Create your personal star by focusing on something to which you have an affinity, toward which you have some intuitive connection. The way of the Tao is vast and varied and cannot be pinned down by the monkey mind. Until you begin to think with your heart, you will not know the Tao. We will use your personal star as a focal point off which to reflect your energy down to somewhere else. 1. With the Yi power, connect to your personal star 6 inches above your head. 2. Expand your awareness and consciousness to your personal star and out to the whole universe. 3. If in a group, spiral the energy out and link your personal star with the personal stars of everyone in the group. Create an energy body, linking everyone together with the heart of the universe. 4. Link to friends, instructors, others in the Universal Tao, or others who are doing similar work around the world. 5. When you link to the heart of the universe (God) you attain a state of unconditional love.